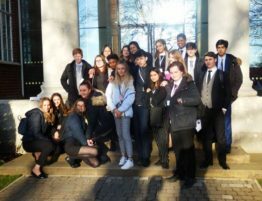 The 32nd Royal Russell Conference lasted four days over half term. 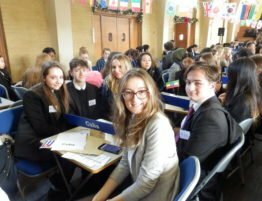 This highly impressive event was run by 90 Royal Russell School students who worked amazingly hard as Security, Admin, Press and Media. 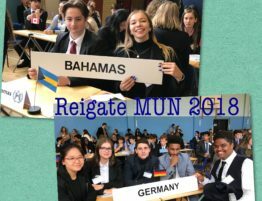 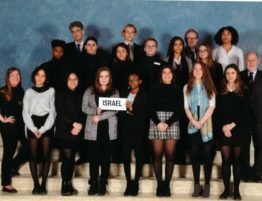 Over 30 schools from 13 different countries (from USA to Japan via Ireland and Finland) provided over 500 delegates who recreated the real United Nations with 8 GA committees, a security council and an International Court. 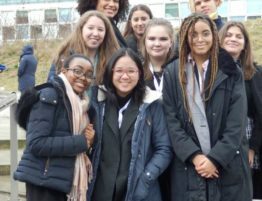 In the evenings the students – who debated from 9.00am until 8.00pm were able to unwind at the nightly dance and, on Sunday night, to enjoy the amazing X-Factor show put on by Media Students. 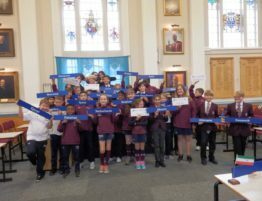 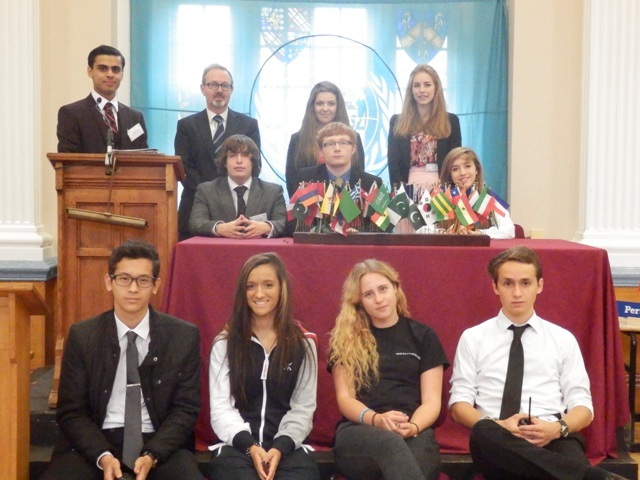 Royal Russell School provided 9 chairs for committees and the GA. Two delegates won awards – Daniel and Barty. 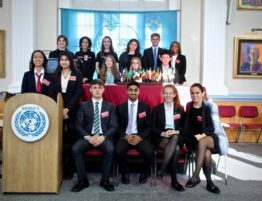 The 32nd Royal Russell MUN conference was closed by the Secretary General Sultan Kazi on Tuesday.